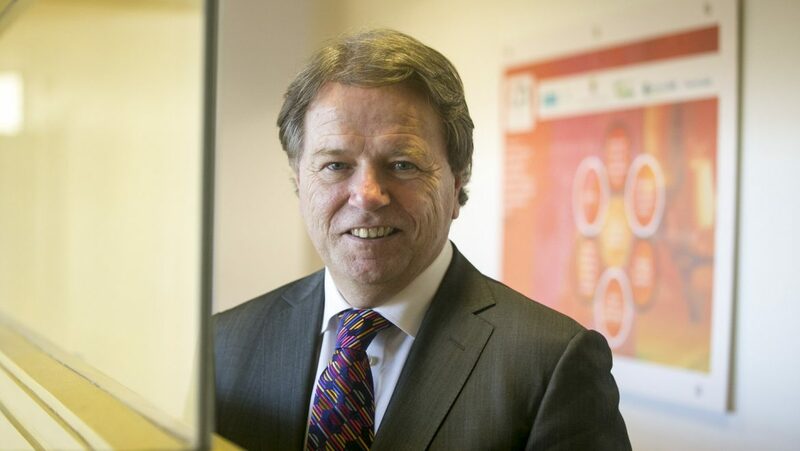 Professor Fergus Shanahan, Chair of the Department of Medicine at University College Cork, will give the annual John Feely Memorial lecture at Medicine in Changing Times on Saturday 21 October 2017 as part of our St Luke's Symposium. I was pleased to accept this year’s lectureship in celebration of the memory of John Feely. I knew John Feely. He was the first clinical tutor that I encountered when I went to the Mater hospital as a junior medical student. He challenged me to learn how to approach patients, how to listen and how to command a clinical conversation. Effective communication and dialogue does not come easily to most students. It requires practice and self-reflection. I was to learn later that careful consideration of the words we use, not only in clinical encounters but in all avenues of medicine, is probably the most important lesson in professional life. In an era when the scale and pace of medical science exceeds the capacity of the human mind, doctors face new challenges to their decision-making and thinking. An advancing avalanche of technology including big data, machine learning, algorithms, decision trees and guidelines, with an expectation to practice evidence-based everything, threatens to change forever the way doctors interact with patients. While medical schools rightly struggle to improve the effectiveness of doctor-patient communication, the poverty and inadequacy of the language of medicine has changed little. Trainee doctors must quickly learn a vocabulary of approximately ten thousand new words. Most of these are disease-related words, replacing the familiar with the unfamiliar. Many are unnecessary, inaccurate or even misleading. Little attention is given to illness words that patients are concerned with. At Medicine in Changing Times on 21 October I will address common examples of poor usage of language in medicine. I will suggest simple remedies. I will illustrate how bad language may become bad medicine and is bad for patients. I will also indicate how simple direct and precise language is a requisite for clear thinking in medical science, for effective public health initiatives, and for health service management. Since language shapes our thinking and our thinking is reflected in our language, patients are more likely to benefit if our language is fit for purpose. We need to pay more attention to the words we use. Part of our annual St Luke's Symposium, Medicine in Changing Times is an opportunity to hear from leaders in healthcare on topics that relate to transforming healthcare delivery and Continuing Medical Education. All healthcare professionals are welcome to attend. This year's St Luke's Symposium takes place 18-21 October 2017 at No.6 Kildare Street, Dublin 2. All events are free of charge for RCPI Trainees. Members, Fellows and Licentiates who are up to date with their subscriptions can also attend free of charge.